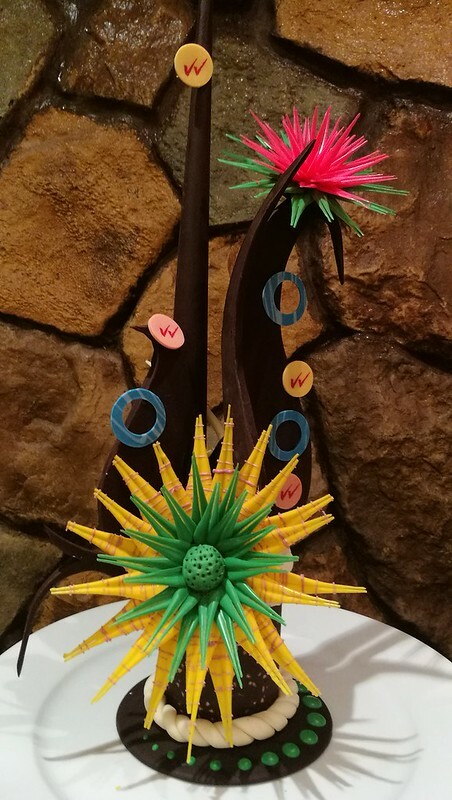 Experience a mix of Mindanao flavor and culture can be enjoyed at Waterfront’s dinner buffet featuring dishes by couple celebrity Chef Rolando Laudico as well as delicious desserts by Chef Jacqueline Juarez Laudico. 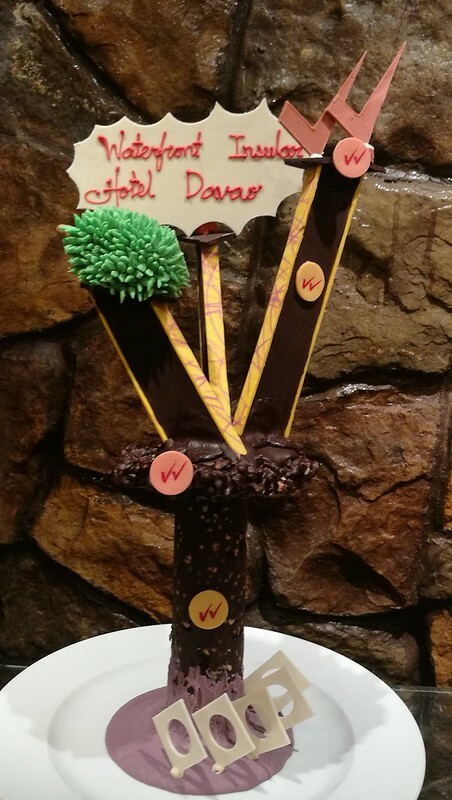 The people of Davao City who loves to dine out preferring buffet style are in for an interesting and delicious treat of a unique dining experience in the city. 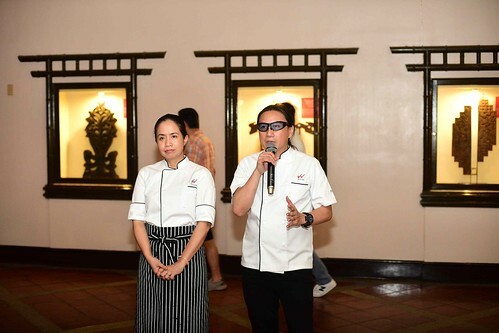 It will become more exciting with Waterfront Insular Hotel’s Filipino Food Fiesta Dinner Buffet at Cafe Uno featuring couple celebrity chefs or more known to most of us as Chef Lau and Chef Jackie! 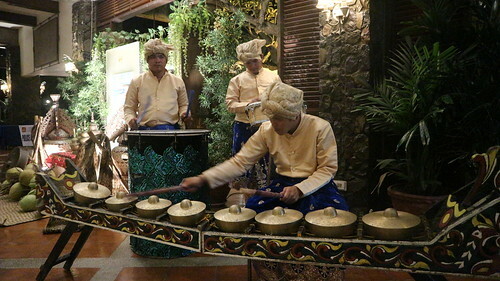 A festive 81st Araw Ng Davao celebration was prepared by Waterfront Insular Hotel for tourism executives, corporate patrons, industry partners and friends from the media and bloggers who were all invited to the exclusive preview of the unique dinner buffet. Last March 16, I took a chance on the Friday and payday traffic at 5PM, which thankfully was not heavy given it was a holiday, to be at the beautiful and only resort hotel in Davao City. I wanted to see once again the couple celebrity chefs who I have already met a few times before here in Davao culinary events that were held in SMX and SM Lanang in the past few years. Waterfront guests were first hosted to a cocktail reception at the Vinta Bar patio and served an option of punches – Sapak, a refreshing mix of salabat, watermelon and Benefiber and Davao Punch, a rich mixture of guava, calamansi and pomelo. I tasted the Sapak that had an interestingly distinct taste of citrusy spice. 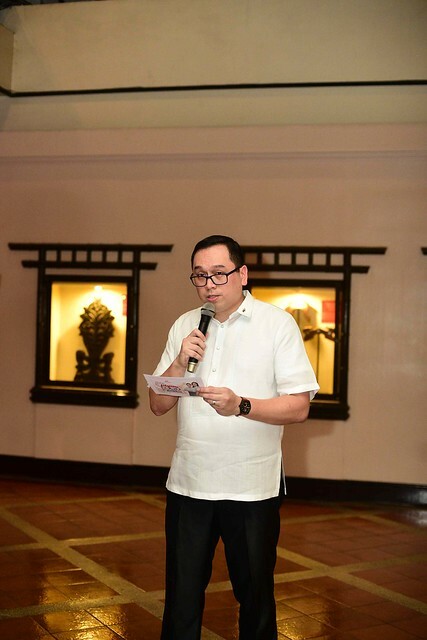 “With Davao being home to abundant and fresh local produce, we are happy to present a mix of flavor and culture to your dining experience”, said Waterfront Hotel Manager Bryan Lasala in his welcome speech. Present at the said launch were Guest Celebrity Chefs Rolando and Jackie Laudico. 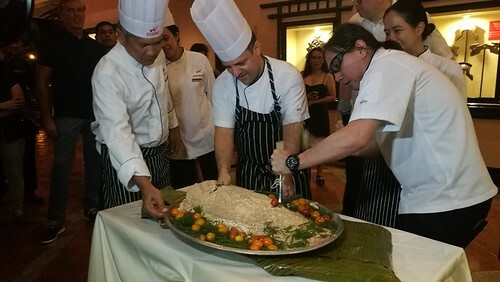 Ceremonial breaking done by Chef Lau and Waterfront’s Chefs. 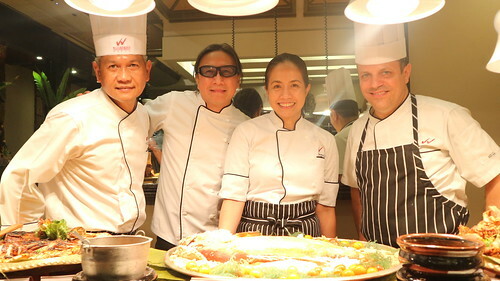 The celebrity couple chefs personally prepared the dishes together with Waterfront’s Corporate Chef Giovanni Sias and Executive Chef Bienvenldo Chavez. 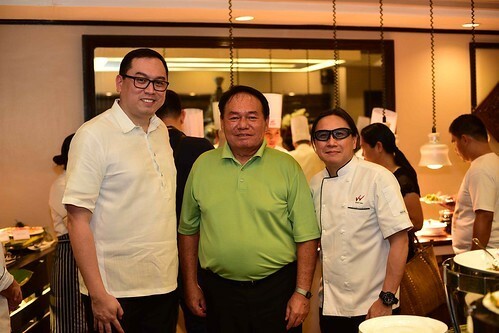 DOT XI Regional Director Antonio Fernando “Butch” Blanco (center), in between GM Lasala & Chef Lau, was present at the launch in Cafe Uno. 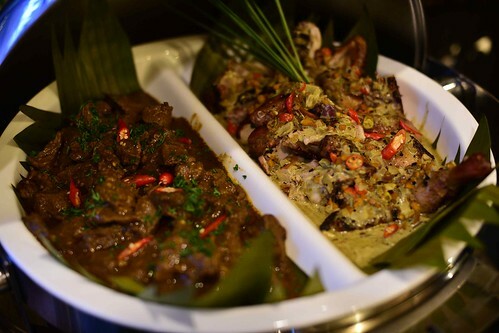 A fusion of Filipino and Mindanaoan cuisine highlighting Maranao and Tausug dishes made with Chef Lau’s signature style of cooking will be featured in Cafe Uno’s dinner buffet starting April 1st. 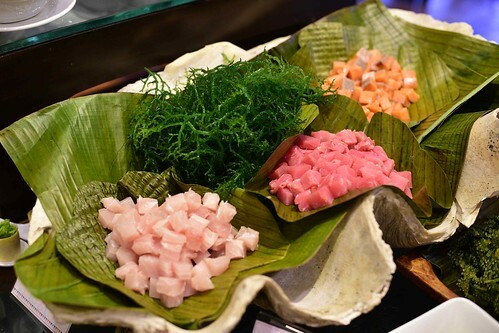 “Everything is done from scratch, using the best quality and seasonal ingredients we can find”, Chef Lau quipped. 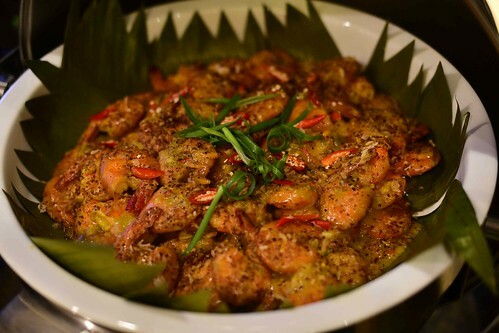 I enjoyed tasting the curried shrimps and lapu-lapu in turmeric sauce because I have a fondness for dishes that have coconut or coconut milk and curry. 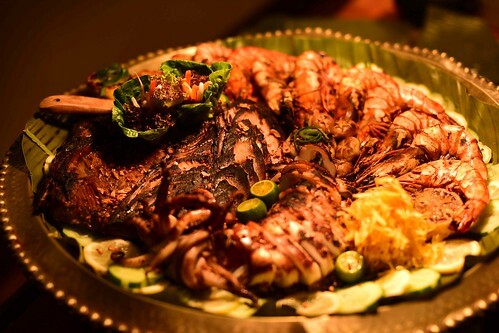 Plus the Lapu-Lapu (grouper) is a popular fave fish which is one of Asia’s most sought after fish and as I grow older, I once again look more for fish dishes when we get to dine buffet style in the city. 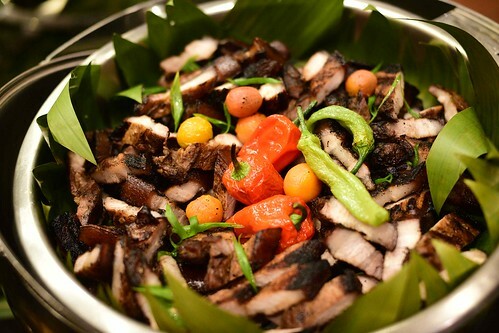 The Humba served in the dinner buffet was a fave among some of the guests who were there during the launch including me! 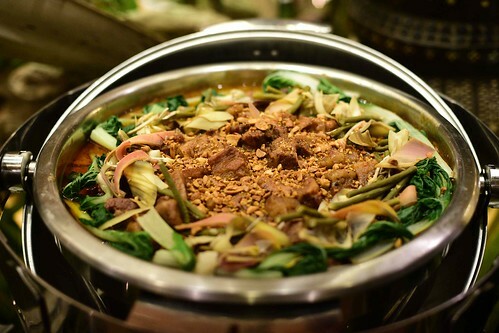 You got to try the humba at the buffet! Pork was not one of my sacrifices for this year’s Lenten season. 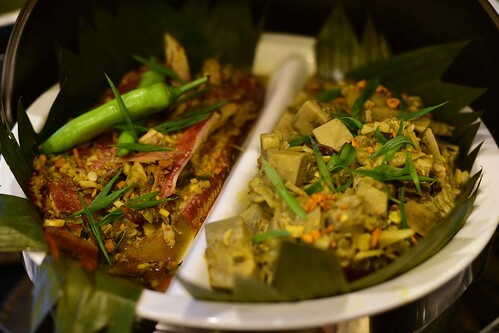 The launching event happen to fell on a Friday, I felt a little guilt because we probably got too much serving for our share of this delicious humba. We went back at least twice for it that night. 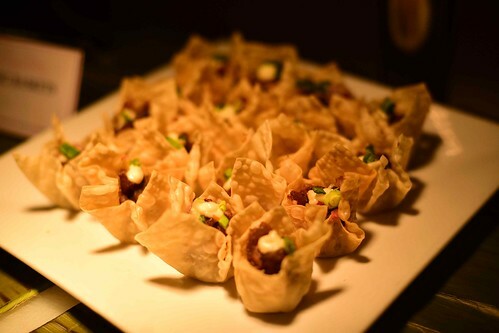 We could have made an instant hashtag #humbaislife because it tasted really good. A real humba treat in there! The meat was soft and tender. 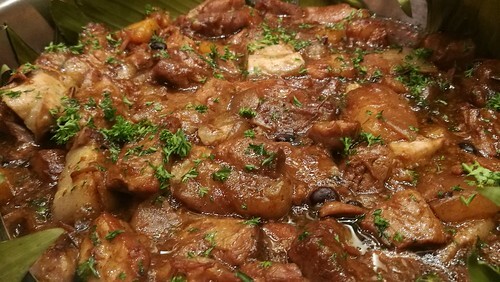 If there is melt-in-your-mouth kind of humba… then this was it! Heaven for our palate! 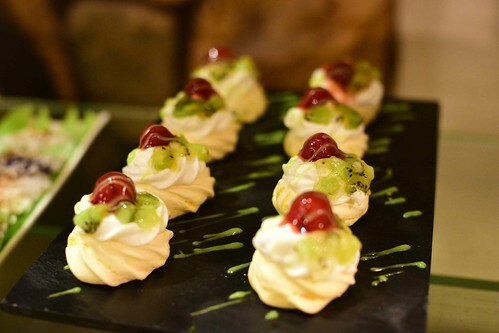 Check out the other food in the buffet. You may crave for extra rice, I warn you. 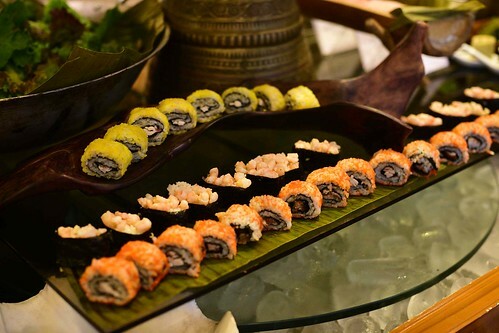 It’s a buffet after all so you can have all the rice that you want to eat with this. 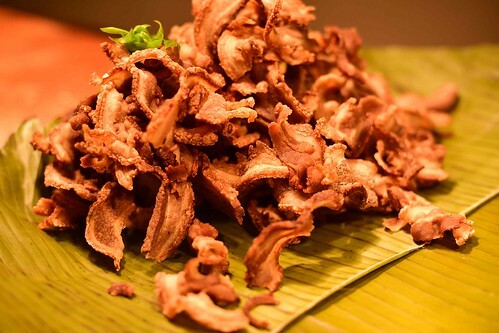 The Bacon bagnet makes you want to forget it’s the Lenten season. 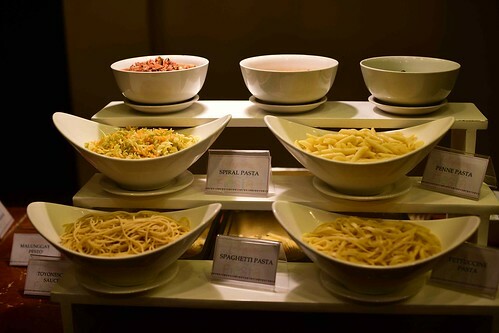 There are also other dishes to choose from in the dinner buffet. 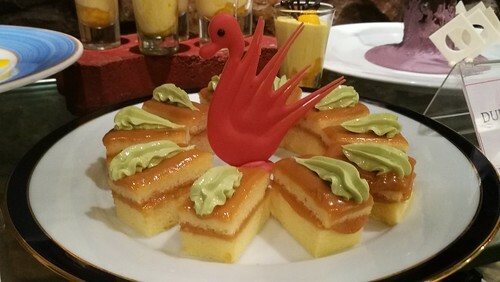 I love Chef Jac’s Durian Panna Cotta and Durian Caramel Cake. 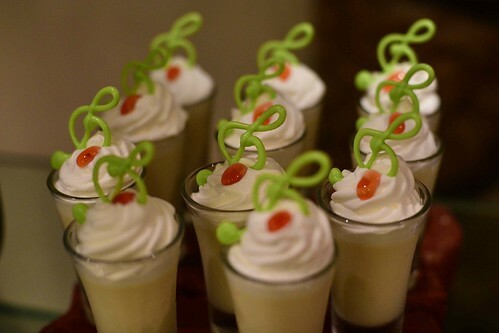 The panna cotta durian cream was really good in consistency and taste. 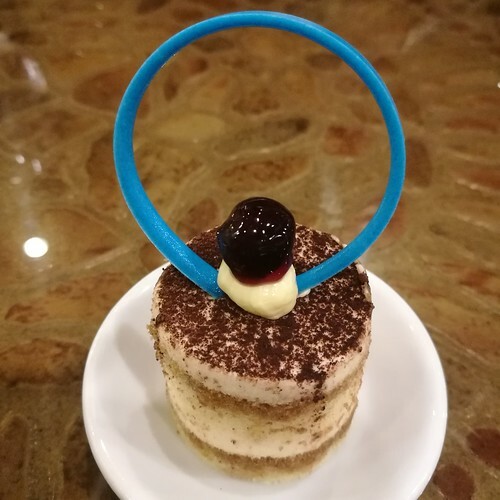 I really love it Chef Jackie! These are two beautiful creations displayed in the dessert section. Waterfront’s Filipino Food Fiesta dinner buffet starts April 1, 2018 at Cafe Uno for P750 nett per person. 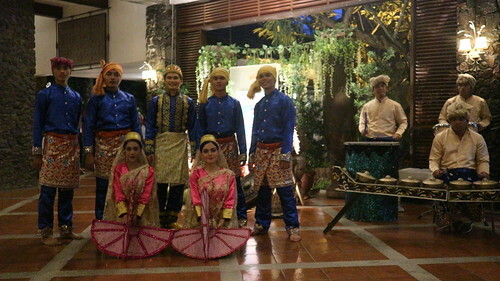 For inquiries and reservations, you may call (082) 233 2881 to 83 local 8700. 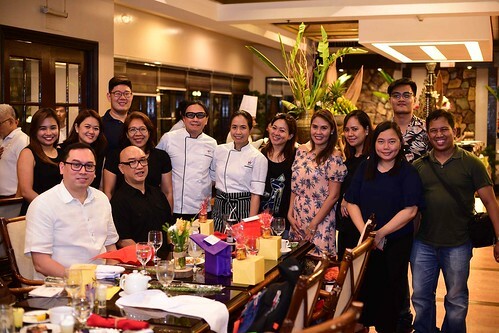 Davao media and bloggers from the Davao Digital Influencers joined by Chef Lau and Ms. EC Gamalong of Waterfront Insular Hotel Davao at Cafe Uno during the launch. 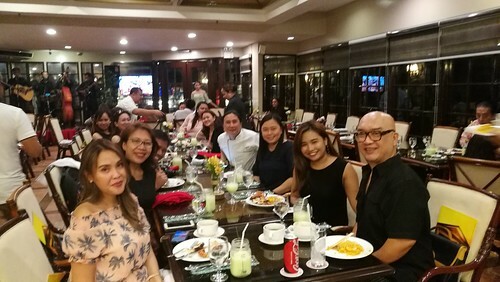 Chef Lau and Chef Jackie with Waterfront Davao hotel manager Mr. Bryan Lasala (seated left), Marketing Communications Officer Ms. Eva Ces Gamalong, Group Marketing Communications Manager Ms. Pia de Villa joining the invited Davao media and Davao Digital Influencers for a photo opp during the launch at the hotel’s Cafe Uno Restaurant. 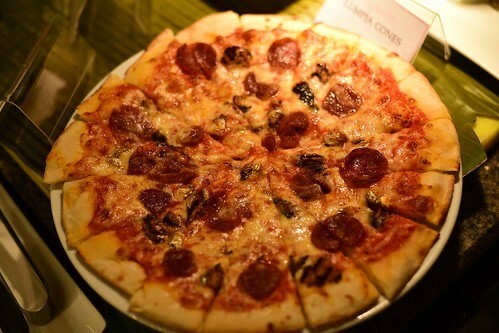 All about Davao City food, cuisine and our food trips. Loving Ligo Sardines with My Boys: Kaon Ta’g Ligo, Davao!